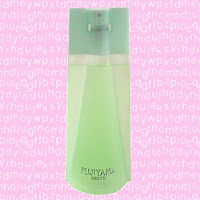 Fujiyama Green fragrance by Succes De Paris (3.3oz) is quite a tricky perfume. You’d think that it smells more like newly mown grass, but actually it is a sharp fruity scent. This feminine scent hides notes like citrus, green tea, and musk. 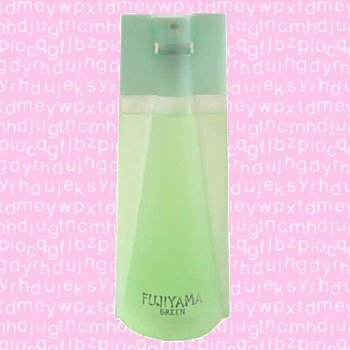 Fujiyama Green perfume is recommended for casual wear. Le Classique Eau De Parfum from the French designer Jean Paul Gaultier is an oriental floral fragrance, suitable for romantic evening wear. The beautiful body-shaped bottle hides notes like tincture of rose, orchid, vanilla, musk, and amber. If you’d like to surprise your partner, Le Classique perfume is the perfect gift for any woman. You’ll love the smell of your lover! For chocolate addicts like me, Aquolina has released a special fragrance in their honor. Chocolovers Eau De Toilette is an oriental vanilla perfume with a seductive chocolate smell. This charming perfume opens with bergamot and lemon, followed by coriander and hazelnut and drying with vanilla, malt, and musk. You’ll get addicted of Chocolovers. I know I did. Moschino’s Cheap and Chic Light Clouds is floral fruity gourmand fragrance, suitable for all ages. The fresh perfume opens with a hint of peach, lotus, jasmine, and musk. This combination introduces you into a euphoric state of mind you’ll never want to end. This casual fragrance is accompanied by a lovely body care line. 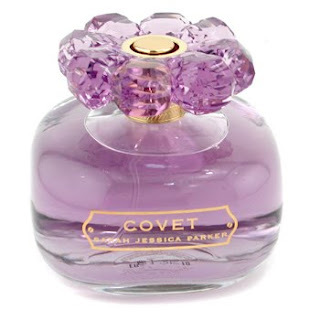 Covet Pure Bloom is a floral fragrance with a hint of fruity notes. The two years old perfume is pretty successful due to tuberose, Pikoke Indian flower, jasmine, musk, and a rare note - coconut water. Although it is stated that the perfume contains plum note, it is hardly detectable. It is a lovely perfume, suitable for daily wear. Gwen Stefani’s first perfume is called L and it is a floral aquatic fragrance. The main notes are freesia, water hyacinth, pear, rose, heliotrope, and frangipani. It is a perfect perfume for this time of year because it’s not intoxicating as most of floral perfumes are. It is a sweet fragrance, in the non-gourmand way. The new released Cool Water Freeze Me from Davidoff is a refreshing fragrance for active women. The dazzling combination of pineapple, mint, sandalwood, iris, peach, amber, and musk notes create an unforgettable scent. It is a perfect perfume for sunny days. The intriguing Cool Water Freeze Me is recommended for daytime wear. Finally a floral green perfume that I enjoy wearing in all seasons. 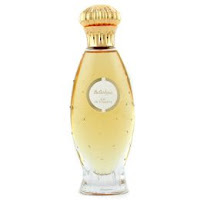 Eau de Dali from Salvador Dali is a combination of fruity top notes, floral middle notes, and woody base notes. I truly enjoy the mix of lemon, lily of the valley, vanilla, and cedar wood. The fragrance is packed in a beautiful bottle inspired by painter’s art works. 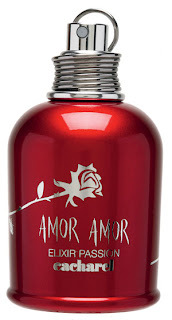 Amor Amor Elixir Passion Eau De Parfum from Cacharel is an oriental floral perfume. The main note is blood orange and in combination with Tahitian tiare flower, Indian malati flower, sandalwood, and benzoin it smells very intriguing. First it opens with this very powerful orange note and ends smelling very sensual due to the balsamic end notes. Some women will love it and other will hate it. I recommend smelling it carefully before making any purchase. Sensual perfumes are invincible weapons for seduction. It’s widely known that men prefer oriental perfumes. But what do you think of the combination of Angel Innocent fragrance? The sparkling sophistication of bergamot blends with fruity notes like mandarin, passion fruit, dewberry and sugar almonds to create this evening wear perfume from Thierry Mugler. Lots of the ladies I admire wear this perfume on casual events. 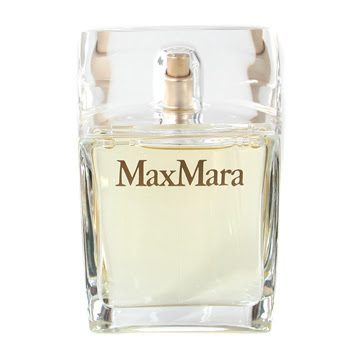 In my opinion, Eau De Parfum from MaxMara has a distinctive smell. Sicilian lemon, ginger, and orchid aromas blend perfect with woody notes to create a rigid, yet feminine fragrance. Your co-workers will not be annoyed by this interesting smelling perfume; on the contrary, I bet you will be complimented. 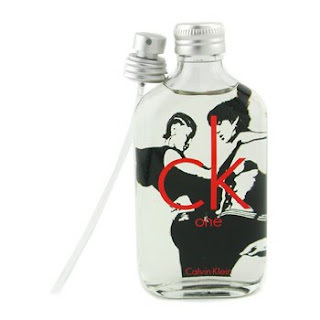 CK One is my favorite perfume for casual wear. The blend of citrus notes like orange and lemon with a touch of rose and patchouli is absolutely fantastic. It can be worn at office and no one will complain about the smell. It does not have a nauseous odor like most fragrances women choose to wear at work. It’s fresh and can also be worn when you go to picnics. 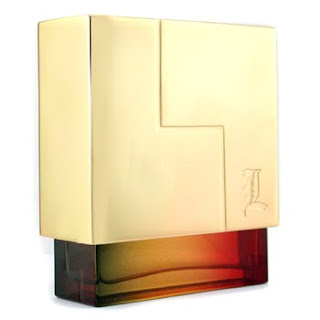 The sweet scent from Loewe, perfect for teens, is a woody fruity musk fragrance. If you are planning to buy your girl a gift, this is what she would love. The combination of grapefruit, jasmine, Bulgarian rose, and vanilla and white musk base notes makes it perfect for a day out with the girls. Does New York Smells like Bleecker Street Eau de Parfum? I’m a fan of perfumes and I have to admit that the shape of this bottle intrigued me and made buy it without even trying it. 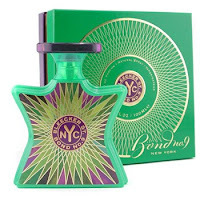 Although Bleecker Street promises to have gourmand, woody notes, I can only detect some of the cedar wood, cinnamon, and patchouli. In my opinion this perfume has nothing to do with regular gourmand perfumes. But it’s not surprising for me because it is a unisex perfume. To Dare or Not to Dare? Intimately Beckham perfume is a powerful fragrance for active men. The perfume was launched in 2006 and has disappointed most of its buyers. It seems that David and Victoria Beckham haven’t chosen the right notes because the perfume gets very strong when it dries out. It’s not suitable for work, but can be worn on clubs or parties, where it is expected for people to wear intoxicating fragrances. 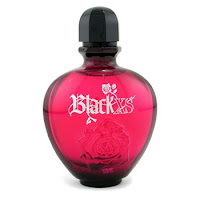 Black Xs For Her is a perfume with a distinctive combination of fruity, floral and woody notes. The enchanting smell takes you on a cranberry, pink peppercorn, hellebore noir rose, cocoa blossom, vanilla, patchouli and massoia wood path. First it smells sweet, then it dries out a bit and you can feel the patchouli note. The bottle is also interesting, with a pink rose ornament. In my quest for a floral fragrance, I checked out Givenchy. I was very pleased to come across their Very Irresistible. Combining roses and star anise, Givenchy has succeeded in creating a very light, floral, and feminine scent. Have you ever wondered how much can a perfume cost? For $2400 you can buy the most expensive perfume in the world, according to the Guinness Book of Records. 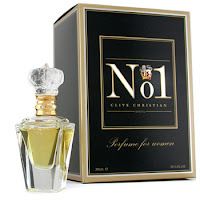 The perfume is called Clive Christian No. 1 and it’s made of the finest raw materials in the world. It is a combination of pineapple, plum, rose, jasmine, ylang ylang, vanilla, and cedarwood. Every year, there are sold a maximum of 1000 bottles for the feminine version and 1000 bottles for the masculine version. Voluspa's Basic Black collection has done a fabulous job at making a 2-in-1 room spray & body spray. 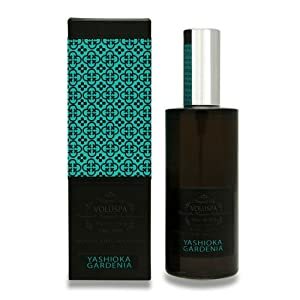 A personal favorite combines gardenia, tuberose, cloves, a cedar to make a delightful scent referred to as Yashioka Gardenia. The line features 6 equally pleasing scents and retails for approximately $15. Time is never an issue for sophisticated perfumes. Bellodgia fragrance from Caron has inspired women over the decades, since it was launched in 1927. The oriental perfume it’s a bit intoxicating, maybe due to vanilla, lily of the valley, and carnation combination. It’s most likely young women will not appreciate it to its full value, but as they will get older, they will surely do.